As I scrolled…and scrolled…and scrolled some more, I panicked just a little bit. There were so many. 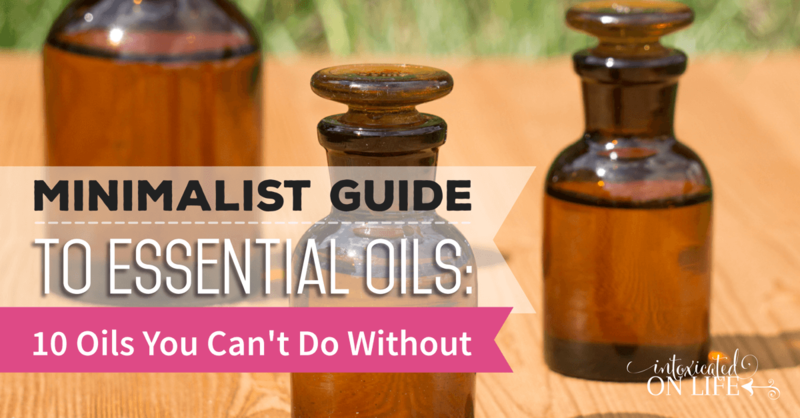 Who knew there were so many different essential oils? Yes, there were over 150 different essential oils to choose from. I certainly couldn’t afford to purchase them all. But how was I supposed to choose? What did I need to make sure to have on hand if I was going to work towards using essential oils as my first line of defense. I just wanted a guide to what essential oils were best to start with. Have you ever felt that way? My guess is, if you’ve landed on this post you might be currently feeling that way! What are the top 10 essential oils to start with? That is a fairly common question readers send me. So, I’ve purposed to answer it because, like many of you I know what it feels like to be overwhelmed at the huge list of oils! 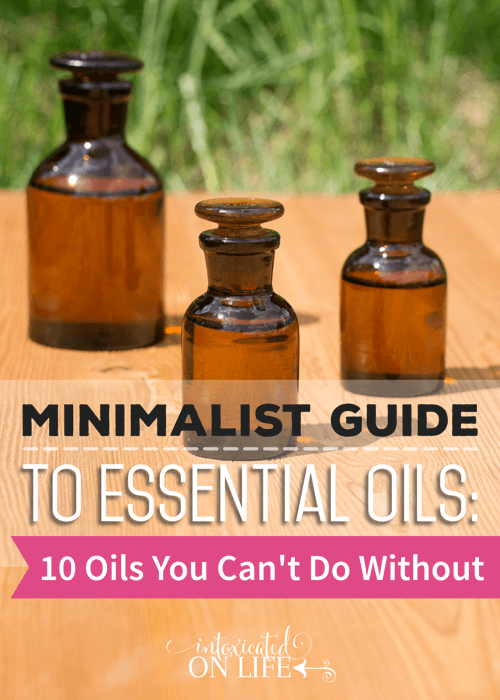 How to Choose the Top 10 Essential Oils? I don’t claim to be an expert, but am merely sharing what my personal top 10 list is. You might have others that you’d add or take away from this list. So how did I choose which oils went into this list? I chose my top 10 list for the versatility of the oils. I wanted to have oils that do different things and I could use in different ways. I wanted oils for bugs, head and neck tension, seasonal or environmental threats, household cleaning, personal care products, and more! I also determined these oils would be on my “must have” list because of specific oil blends they can make. There are certain blends of oils that are great for fighting seasonal or environmental threat or to help with sinus and supporting the immune system. 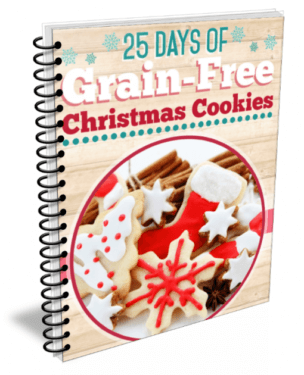 But it’s much cheaper to make these yourself from individual oils than it is to buy the pre-mixed oil blends. Not to mention, it’s super easy too. 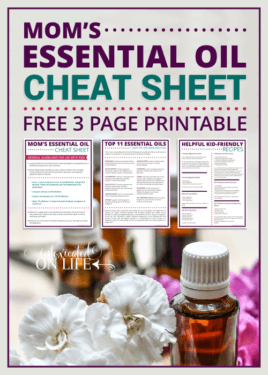 While I’ll touch on one or two reasons why I like each of these oils, this certainly won’t give you all of the ways you could use each particular oil. They’d all need a post or two to themselves to be that comprehensive. It’s a good idea to be sure to get some good essential oil education! This can be done via classes or reference books. If I remember correctly, lemon was the very first oil I ever purchased. I love lemon for cleaning around the house. It’s particularly good for cutting sticky messes and odors. Lemon is great for general detoxing and is a natural mood booster! Ah…gentle, calming lavender. Of course, we all know the commercials about the lavender baby soap that helps to put the little ones to bed. Lavender does indeed have relaxing properties. In fact, I used to diffuse lavender in my twins bedroom every night to help them calm down. Peppermint is a great addition in homemade toothpaste preparations! Along with being fantastic at helping out with foul breath, it’s also known to help with occasional stomach issues and motion sickness, grumpy babies, and head and neck tension. My personal favorite way to use peppermint is to improve alertness and concentration. 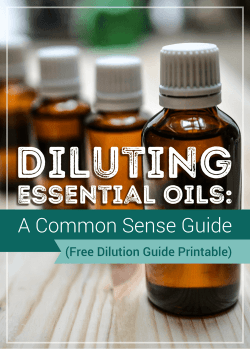 This is a great oil to diffuse in your homeschool room! Frankincense. Yes, like in the Bible. One of the gifts the wise men brought to baby Jesus—the one and the same! This one makes my top 10 simply because of what it’s done for me. I’ve had a couple of skin issues I was able to make disappear as well as a funky little bump on the tip of my tongue too. I can’t promise it will work for you, but that’s one of the reasons I love it! What I most love about clove is its ability to help with occasional oral discomfort. Before I knew anything at all about essential oils I was introduced to this one via an oral surgeon. When I was 21 (I remember exactly how old because it was the winter break during grad school) I had my wisdom teeth removed. Everything went fine until I sprung a dry socket. Owee! One of the worst types of acute discomfort I’ve ever had. It was instantly, and I mean instant, relieved when they stuffed that socket with a cloth soaked in clove oil. Sweet, sweet relief! A couple years ago when I first learned about essential oils, I knew this one had to be on hand. I’ve learned to use it for more than that too, but it’s always my go-to! I love cooking with oregano and I’ve also learned to love having oregano as part of my oils stash too! This versatile oil has many benefits, you can see it’s effectiveness in this study. Along with that, it’s also known to help regulate menstrual cycles and help with menopause. Rosemary is a really unique essential oil. 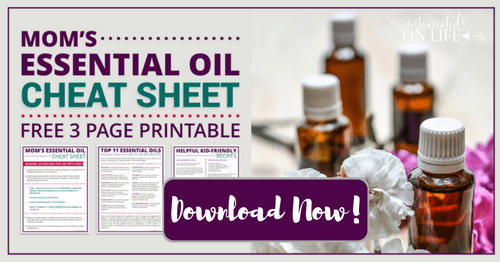 If you read up on this oil in any reference manual you’ll find it has properties that benefit wide array of supporting health—everything from occasional stomach issues to hair care, genital issues and more. Myrrh, another one of those gifts brought to baby Jesus, has some crazy unique properties. It has a wide array of functions including soothing sore issues. It’s also helpful with alertness. I’ve never used it in our school room, but it sounds like it would be a great oil to use to keep the kids alert (or maybe me?)! If you’re looking for some DIY blends, here are some of my favorites. As I mentioned, you can make these blends, easily, and much cheaper than you can buy them pre-made. If you’ve been using essential oils, tell me what would make your top 10 list! Anything I’ve missed? I agree these are must-haves! (Although I haven’t tried a few of them…) Thanks for the extra tips, I’m off to find the couple I don’t have yet. I found you via The Modest Mom Blog link up. Take care! Thank you so much for this article! I’ve just started looking into essential oils and it is very overwhelming to me. Your article made things so much clearer. Thank you. Thank you. I found you through Raising Homemakers. Thanks for linking your article there. Glad that it made navigating essential oils a little easier. This is the list I wish I had when I was just getting started. Lost is a sea of oils! 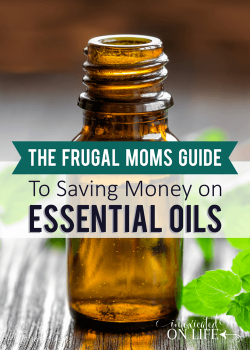 Starting essential oils can be very overwhelming (not to mention super expensive! ), so I’m glad there are pros like you to help the rest of us get started without breaking the bank right off the bat! How do you use essential oils to help with sinuses? My favorite is lavender oil! I’m sleep-deprived and sometimes stressed. My friend advised me lavender essential oil and it was fantastic.